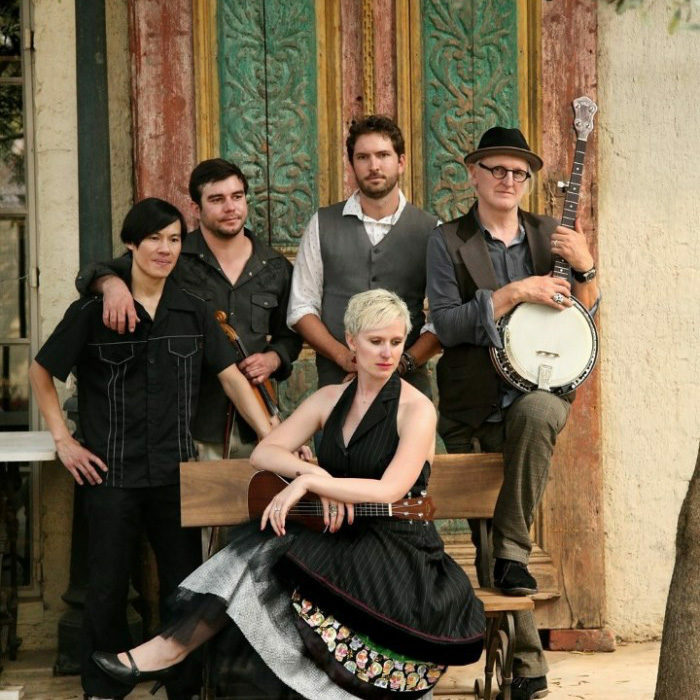 The band consists of full time professional musicians: lead singer (and ukelele) Miss Christine's clear tone is in the tradition of Alison Krauss and Gillian Welsh while Wynand Dawel (violin) and Friso Woudstra (guitars) both feature in the well known Afrikaans roots group, Radio Kalahari Orkes. Brendan Ou Tim is a widely experienced upright bass player who has played with a variety of artists including Arno Carstens & Karma. Ruben Samuels is the drummer for artists such as Rodrigues when touring South Africa and Dan Roberts (banjo, mandolin, guitars) is a Music Producer and winner of the SAMA award in that category.